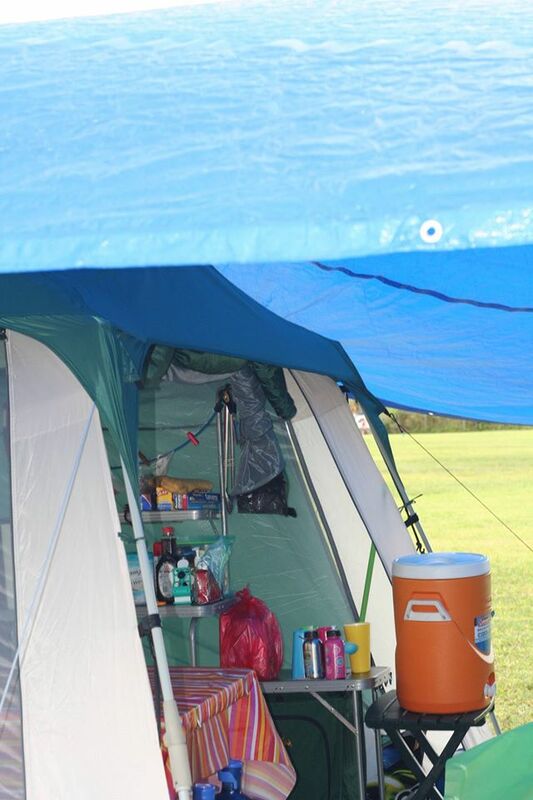 I purchased a Pinnacle screen tent to use for my camp kitchen during my week long camping trip, July 24 - July 31, 2016, at my favorite camping spot. Well I pitched my Eureka 12' x 15' tent, then I set up my 10" x 10" screen tent . I unpacked it and looked for the instructions, which I don't know if I found or not. The paper I found didn't give any setup instructions. Good thing I has seen a video and read the setup instructions online. So I opened it as instructed and 2 of the poles (to support the fly) were not attached to the Hub. I timidly attached them fearing I would break them, but managed to get them in. I think this is the first tent that I have been frightened of. I was afraid of doing it wrong and breaking the poles. However with the aid of my grandsons, 1 who is taller than I, I got it up in about 5 to 10 minutes. 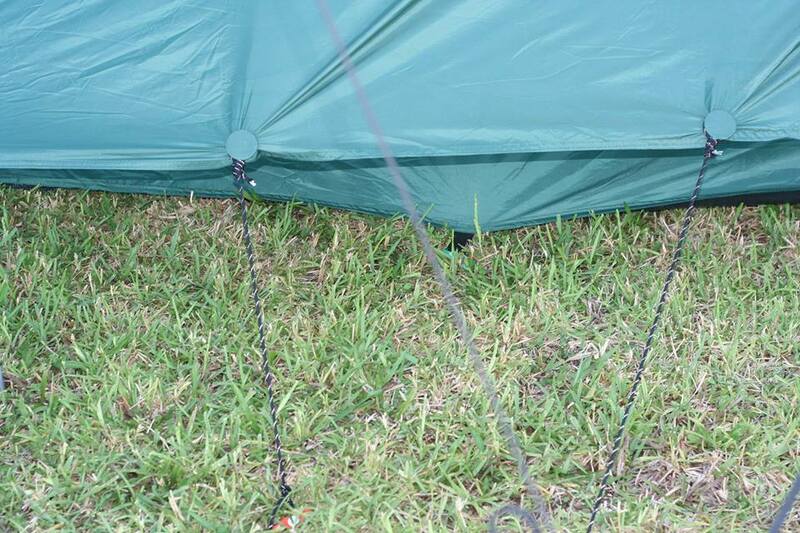 As usual it began to rain and the winds started gusting before I could get the tent guyed out. This is usually the time when my EZ up would go crunch as the poles broke. As the winds gusted the right south pole on my Eureka cabin tent and the left south pole on the Pinnacle screen tent both collapsed in. I yelled to my grandsons to push the poles up while I ran around guying out the lines. Only one of the guy lines was attached, the rest had to be attached and I didn't see them at the time I was running around. Good thing I had lots of other cord and rope. I also had nail stakes, which I buy to replace the stakes that come with new tents. However the stakes that came with the tent were interesting, definitely unique. I did use one, but the ground where I camp has a lot of hard spots which require nail stakes. 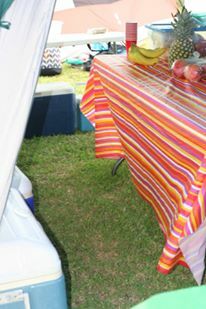 My Pinnacle screen tent made it through the wind gusts on the setup day Sunday and all the other days, especially Friday afternoon and through the night when the winds gusted continually. 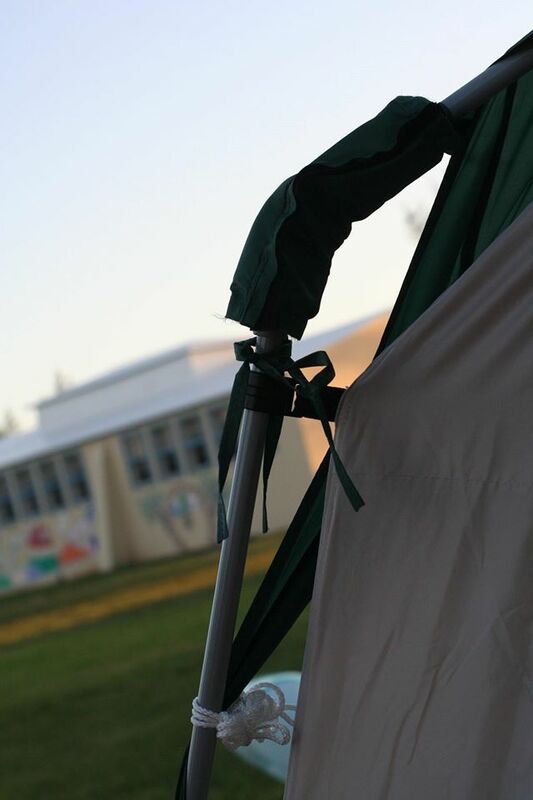 However 1 or 2 of the ties that held the fly to the tent poles broke during the winds on Friday. To compensate I tied a rope around the ends of the fly and around the screen pole. 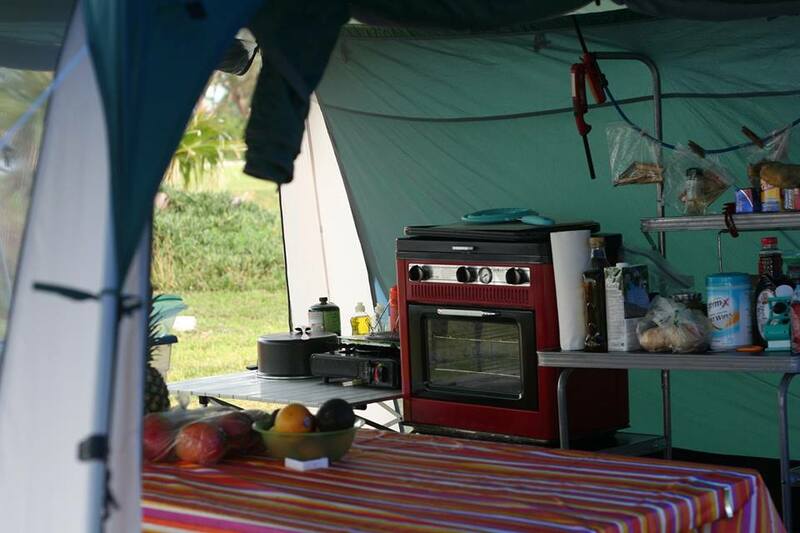 This was the side my camp oven was on, so I couldn't afford to have the wind topple it over. Overall the Pinnacle screen tent is a good size tent, better than I thought it would be. Here are 2 more pictures of my camp kitchen.